• Borrow and return books in one easy transaction – you can stack all your books on the machine shelf, there’s no need to place one book at a time as the improved functionality scans all of your books. 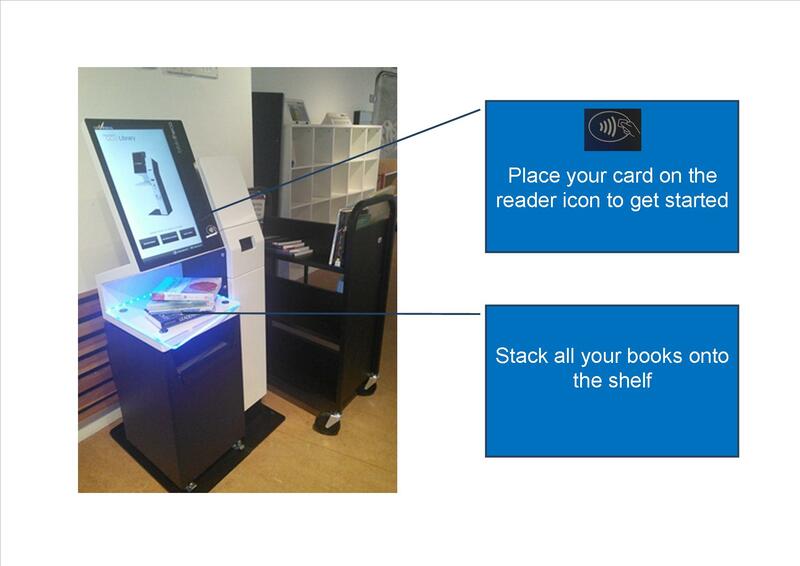 NB: Staff who want to use the new machines please visit the Library Desk for further instruction. 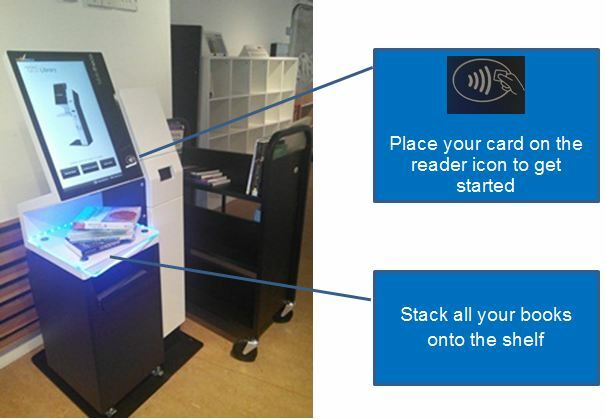 The library self-service machines are very intuitive to use so don’t wait, give them a try! This entry was posted in How to..., Library news. Bookmark the permalink.